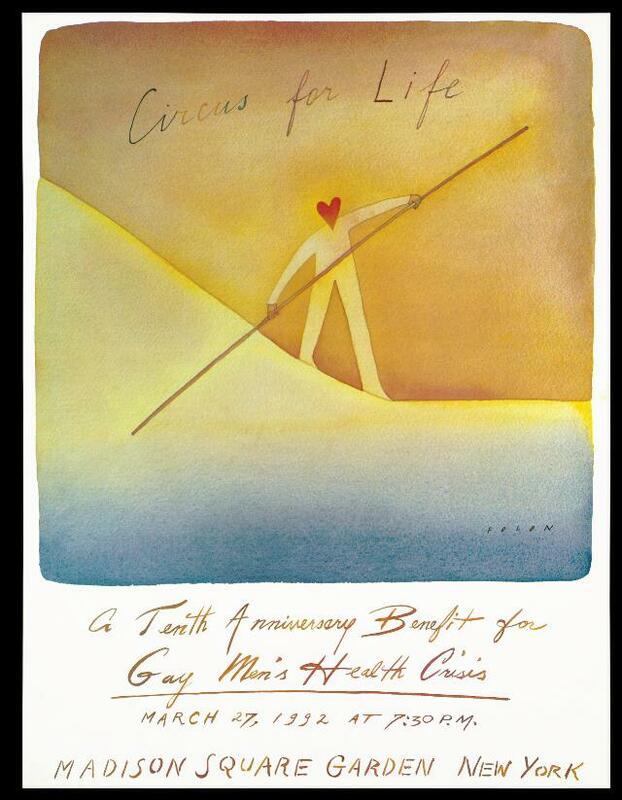 A figure with a heart as a head, walking a bending tightrope while holding a long pole; advertising the tenth anniversary benefit for the Gay Men's Health Crisis. Colour offset lithograph by J.M. Folon, 1992. [New York] : Gay Men's Health Crisis, 1992. Circus for life. A tenth anniversary benefit for Gay Men's Health Crisis. March 27, 1992 at 7:30pm Madison Square Garden, New York. Folon.